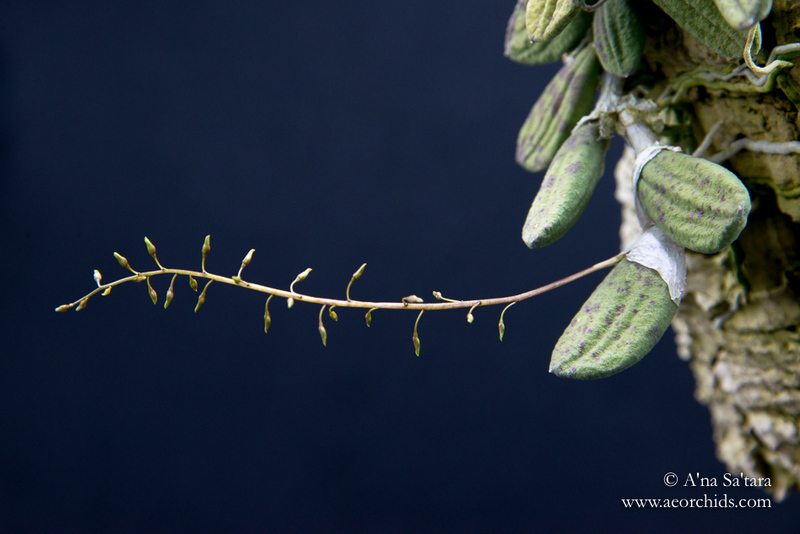 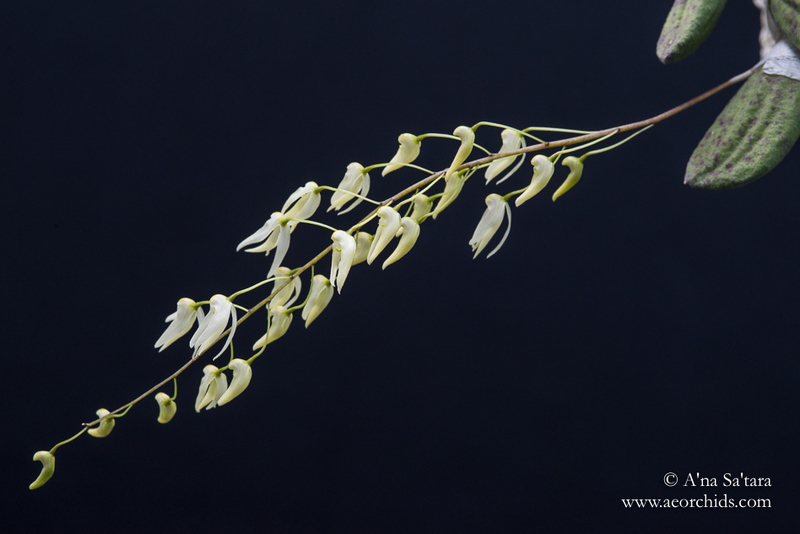 I became fascinated watching this mount slowly grow and mature its flowering spikes — and was thoughtful enough to start photographing when it was just beginning to form buds — to create this series of images of the bloom sequence. 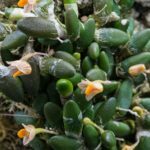 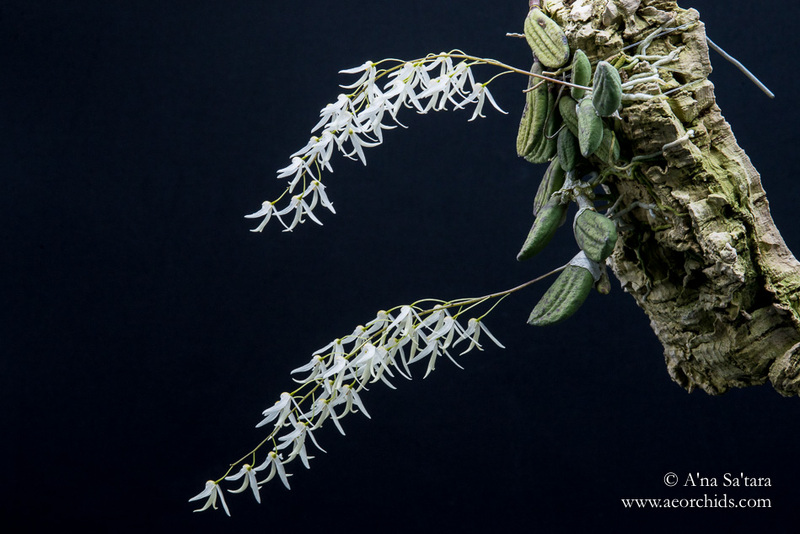 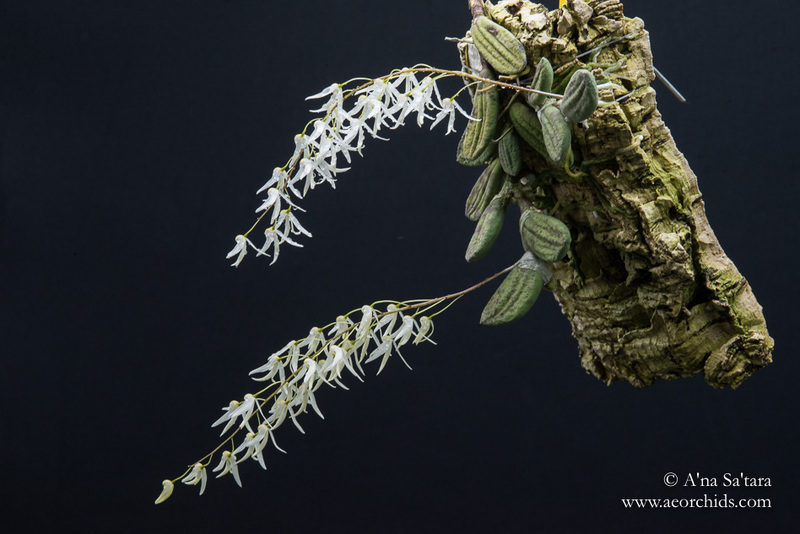 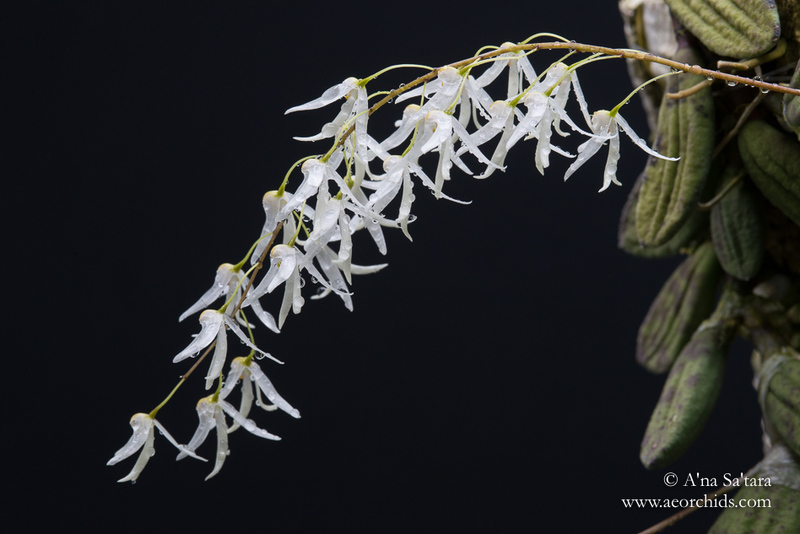 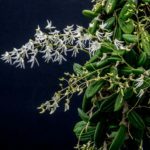 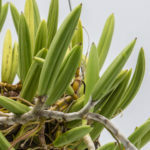 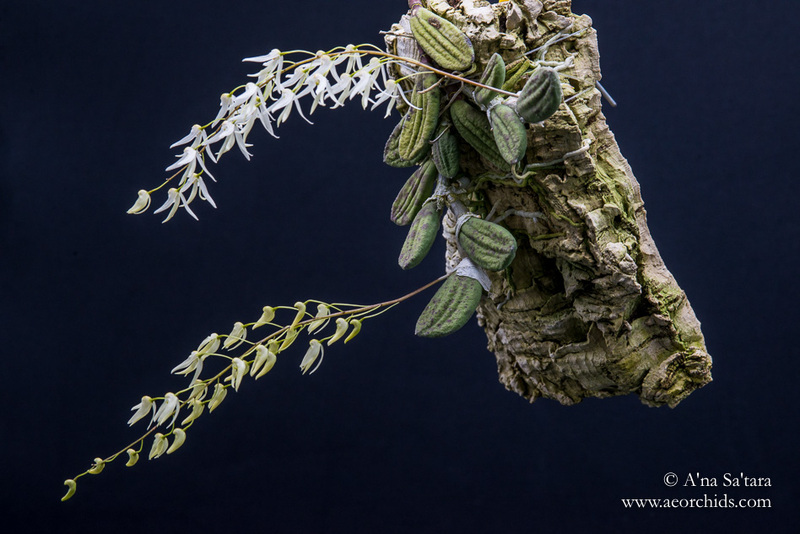 To see a spectacularly blooming Dockrillia (Dendrobium) linguiformis, I have also photographed our much, much older specimen. 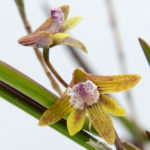 Dockrillia (Dendrobium) linguiformis is also known as Dendrobium nugentii, Dockrillia nugentii, and Dendrobium linguiformis var. 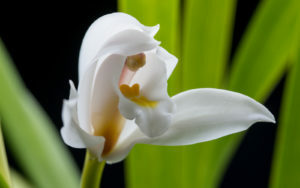 nugentii.